Remote work challenges aren’t solely organizational. And you can take it from me; I’m a Life Coach working on a virtual team, striving to better my colleagues’ daily lives and their remote work experience. I’ve found that these encountered kinds of interpersonal difficulties, which if left unchecked, can directly affect workflow, job satisfaction, and morale. Axelerant values openness so we’re going to be straight here. There’s no such thing as the perfect work environment. Despite the incredible benefits that can be yours with teleworking on a team like ours, remote work challenges are a reality. The positives outweigh the negatives and the negatives can be dealt with. But like always, it’s better to be upfront. 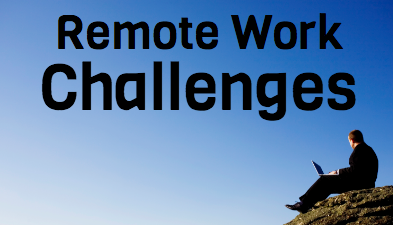 Here I’ll lay out the top five remote work challenges and our approach at Axelerant to dealing with them. Working from literally anywhere—at home, the local café, a telecommuter lounge—is liberating. How many people do you know who can roll out of bed, stretch, and be at work? But the fact is sometimes not being in an office setting means having to overcome a sinking feeling of isolation. If you’ve been exposed to telework for long periods and have a tendency to throw yourself into your daily tasks and lose track of the time, then you get it. But with us, you’re never alone. Virtual teams need to be arguably closer than brick and mortar crews. And if you’ve worked on one, you know the reasons are clear. While you can gather bits of information about colleagues around the water cooler or break room, sharing in conversation, in a remote work environment you need to connect purposefully. Team communication tools like Slack make near continuous interaction possible—humor channels, learnings, social sharing, a private girls group and much more. These purposeful, daily interactions bring our team members together and help keep them together. Being able to manage and tend to your kids, your home, and your career, all from the same place? It’s one heck of an opportunity, and there’s nothing like it. But sometimes when you work from home, the lines start to blur—the lines separating “work” from “home.” That’s when it gets dangerous. You find yourself working late, working early… but not working. Or not effectively, anyway. Cycles of anxiety start to spin; self-confidence gives out, and clearer thinking becomes close to impossible. When these lines blur, life gets dizzy. And just like feelings of isolation, you don’t know until it hits you right in the face. Stretching your working hours without much thought, throwing your life off balance. This is the 2016 standard. As a Life Coach, one of my duties is to assist team members to identify this problem and help them resolve it. And acknowledging that balance isn’t there is the first step towards restoring it. I’m proud to do my part to encourage work-life balance by taking my colleagues through constructive rebalancing. Here we acknowledge burnout within our industry and industries like ours; we’re committed to the fight against burnout. Fortunately, managers and mentors at Axelerant are not typical. They support an active support system, encouraging professional growth and work prioritization—one thing at a time. People like me are equally interested in each team member’s road to success, and it shows. We've received a 4.8 rating on Glassdoor at Axelerant from 41 reviewers, with 100% poised to recommend a friend. If you don’t count yourself among the naturally disciplined, glorious few who eat whatever they want and stay healthy, working from home can be… gainful (in all the wrong places). What’s for certain: munchies become part of your routine. Dangerously habit forming munchies! To be determined: what’s your munchie of choice and how much? A home office gives you the freedom to surround yourself with food groups of your choosing Dangerous office foods like morning doughnuts, or candy dishes can be avoided. But it takes discipline. As if remote team members didn’t already need control to begin with. A healthy team is a happy team. As I like to say: “health is wealth,” and to maintain this wealth at Axelerant we have created channels to share information, experiences, and ways to seek support. People declare their health goals and help each other to achieve them. We enjoy saying diet information, exercise routine tips, and of course healthy recipes—ones entire families can enjoy! With so many personalities out there, telework can feel limited. If you don’t interact with your team members interpersonally, there can’t be a team dynamic. The less the interaction, the less familiar you are with one another. Without team dynamic, there won’t be a natural synergy. Without synergy, there won't be high-functioning team production. Interactions are only limited by choice. The choice is yours. Axelerant’s Talent Division works hard to support team interactions. Yearly Axelerant Retreats, Bi-monthly Happy Hours, monthly Team Meetups (with innovations open to family members), and our rotating Buddy Programs are planned and provided for all. These sponsored activities give each member of Axelerant time to meet face-to-face and grow closer. When traveling to different countries, we usually prefer to stay with fellow team members rather than lodging in a hotel; it reflects our closeness and how comfortable we are with one another. Often, working outside of brick and mortar office means opening yourself up to distraction. There you are in the midst of your family, your stuff, the outside world? IT’s all quite tempting. Although many would say, including me, that getting distracted in the office can be just as easy; distraction always makes the remote work challenges list. What it comes down to is supervision. You don’t have someone looking over your shoulder. You’re responsible for keeping yourself on task and delivering. We make focus easy but provide needed distractions too. Axelerant doesn't measure the number of hours our remote peers work; we measure results. We focus on metrics and Key Performance Indicators, KPI’s, which calls for serious, proven, dependable discipline. It’s what our partners expect from us. So the bottom line is this: if you’re getting distracted, you won’t accomplish your goals—our goals. And if you’re not doing that, then we aren’t a match. But we provided needed distractions too. You can expect friendly interruptions, questions from your peers about your weekend, the latest sports game, how things are going with family, etc. We’ve got the beginnings of a Book Club firing up, great community contribution projects, and a Objectives and Key Results (OKR) initiative that encourages things like language learning, fitness goals, certifications or classes outside of work—what you’d call needed distractions from daily work. Don’t worry, people like me are here. 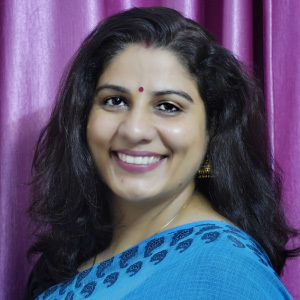 As a Life Coach at Axelerant, I’m available to listen, provide guidance, support, coping strategies, and connect you to helpful internal programs that can help. We all want to be listened to, but most of us are afraid of being judged. Remote work challenges are real, and we need to treat them if we’re going to beat them. How do you deal with remote work challenges? Please share below.